Seventy-five years have passed since Bing Crosby and his friends opened up the Del Mar Thoroughbred Club, but the glamour and prestige of Opening Day hasn’t faded with age. Every year, locals and visitors alike flock to the seaside racetrack to soak up the first day of racing action, not to mention gawk at all the elaborate hats on display, and this year’s Opening Day was no exception. 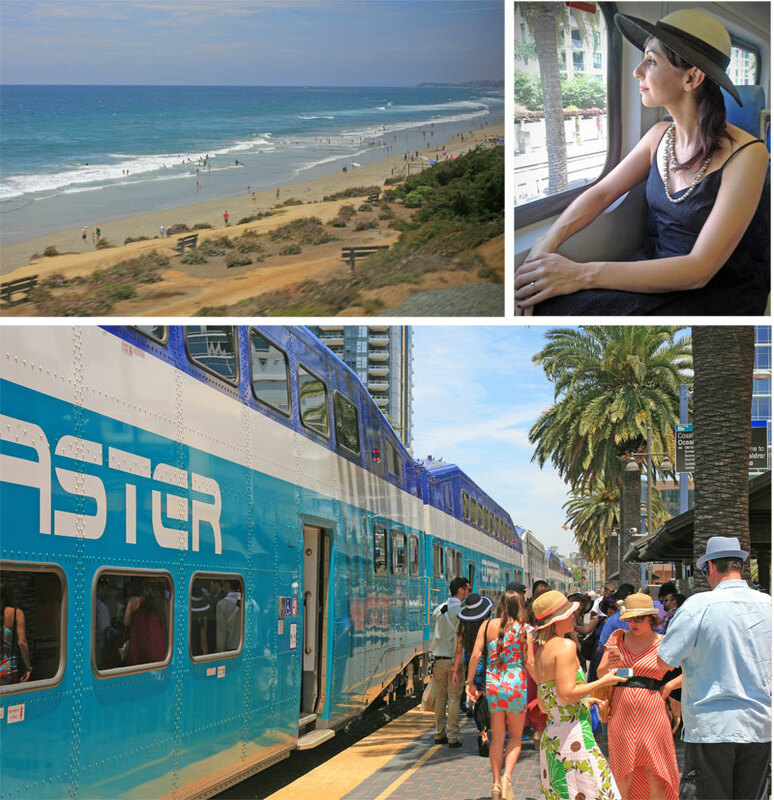 Those looking to visit the Del Mar races this season can embark on the journey car-free; just hop on the North County Transit District’s COASTER commuter train. Ride the train to Solana Beach, then hop on one of the free shuttles that take you directly to the track’s front gate. The best part is the view – it sure beats staring at the cars stuck in traffic! No need for a designated driver when you take the Coaster to the racetrack, and the view is outstanding. While the races are the main event, Opening Day is one heck of a party with plenty of smiling faces under those elaborate hats. It’s best to make a day of it, so dress up, grab a few of your friends and a Del Margarita and settle in for afternoon. Even after Opening Day has come and gone, the action at the track is just warming up. All season long, the Del Mar racetrack is home to events that appeal to visitors of all ages, like the Gourmet Food Truck Festival on July 28, where more than 50 trucks come to the track to offer a wide range of delicious, fun and funky dining options. Parents can bring the kids out for Family Fun Day on July 22, and dog lovers can cheer on the fastest runners on four legs…four very short legs! The Wienerschnitzel Wiener Dog Nationals take place at the track on Sept. 3. 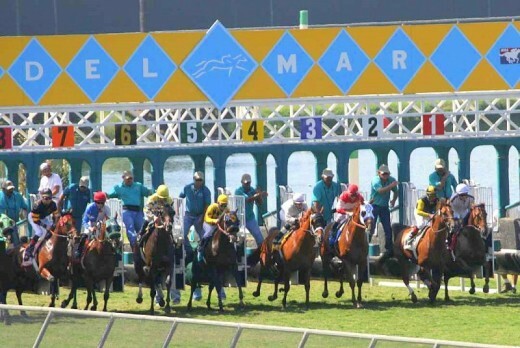 And of course, Fridays are all about music at the track, with Del Mar’s Summer Concert Series. After the races end, race-goers can enjoy free live music from a lineup of performers including Wavves, Dashboard Confessional, Ben Harper and more. Check out the full lineup for information on performances schedules. If you’re planning on attending Opening Day next year, or any of the other days this season that feature concerts or special events, be sure to plan on arriving early and give yourself extra travel time. 1. Elegance, excitement, excellence — these are the hallmarks of the Del Mar National Horse Show, one of the oldest and most prestigious equestrian competitions in the Western United States. The show runs for three weeks starting April 21 and ending May 8. Western competition will be featured the first week, April 21-24; dressage follows April 28-May 1; and hunter/jumper classes conclude the show May 3-8. Each week will also have a featured Saturday night evening event. 2. Spring is an “eggs-tra” special time of year when many ocean animals are hatched or born. 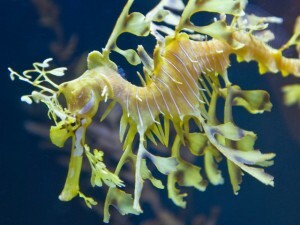 Visit the Birch Aquarium from April 21-24 as they offer Spring EGGStravaganza. Come face-to-face with egg-laying marine animals, including squids, fishes and sharks. Create a shark egg craft, listen to story times and participate in a daily activity throughout the aquarium. 3. 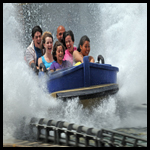 From the amazing Shamu show to the thrilling Atlantis ride, SeaWorld never disappoints. This Saturday, April 23rd, be sure to check out SeaWorld’s Spring Into Night. Spring into Night combines even more SeaWorld fun with amazing nighttime experiences when the park is open late – til 9:00 pm. Then in May, SeaWorld will bring back the popular Viva La Musica, a multi-weekend celebration of Hispanic heritage, complete with live concerts by today’s hottest acts, plus delicious Latin food. 4. 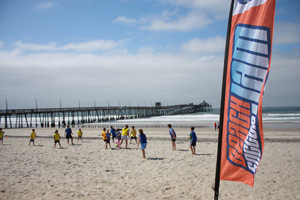 The Third Annual Beach Soccer Jam kicks off Saturday and Sunday at Fiesta Island. Played with a special ball meant for bare feet, beach soccer has its roots in Brazil but makes itself a happy home on Fiesta Island every year. Along with watching the stellar competition on the sand, one can enjoy other Brazilian imports such as Samba and Capoiera performances. 5. From April 19 through the 24th, Broadway San Diego presents Stomp at the downtown Civic Theatre. This rhythm-centric production of music, comedy and talent will remind you that if the beat is alive in you, that’s the only instrument you need. Bring the whole family and enjoy the beat! 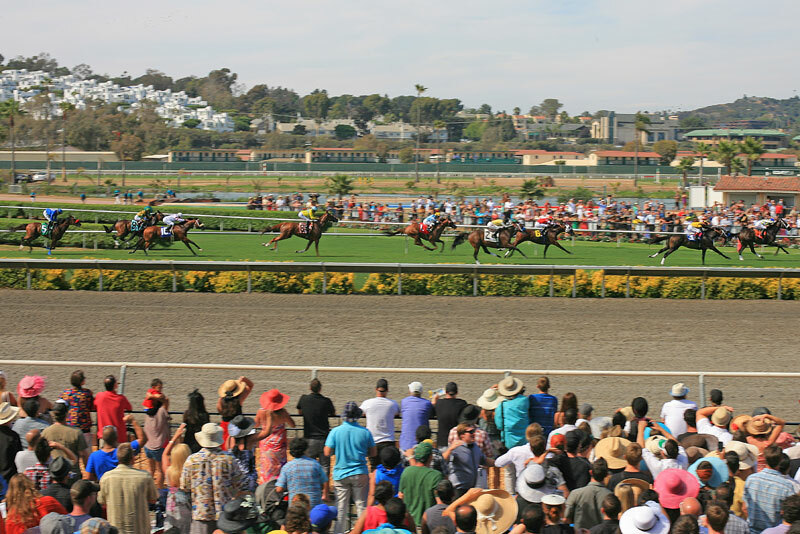 The Del Mar horse racing season has begun, the races are in full-swing and there are some exciting events in store this summer. Be sure to check the Events Calendar for information on the events taking place all season long. Fridays & Select Saturdays: The Del Mar Summer Concert Series. Featuring “4 O’Clock Fridays,” (free concerts every Friday and select Saturdays after the last race). This year’s lineup includes Weezer, ZZ Top, The B52s and more. Saturdays & Sundays: Daybreak at Del Mar. From 7:30 – 9:30 a.m., fans can get the inside scoop on racing, catch the morning workouts with commentary and a Q&A from trackside announcer and former jockey Jeff Bloom and enjoy breakfast at the Clubhouse Terrace Restaurant for less than $10. Sundays: Family Day. Kids can enjoy an Infield of entertainment including pony rides, playground, rides, inflatable games and more. Special Family Fun Days take place July 25 and September 6. July 30: Cougar Day. Miss Cougar Del Mar will be selected to reign again this year. Finalists will be announced on July 28 and the winner will be crowned during the races on July 30. August 28: Pacific Classic Day, Craft Microbrew Festival and Local Music Showcase. 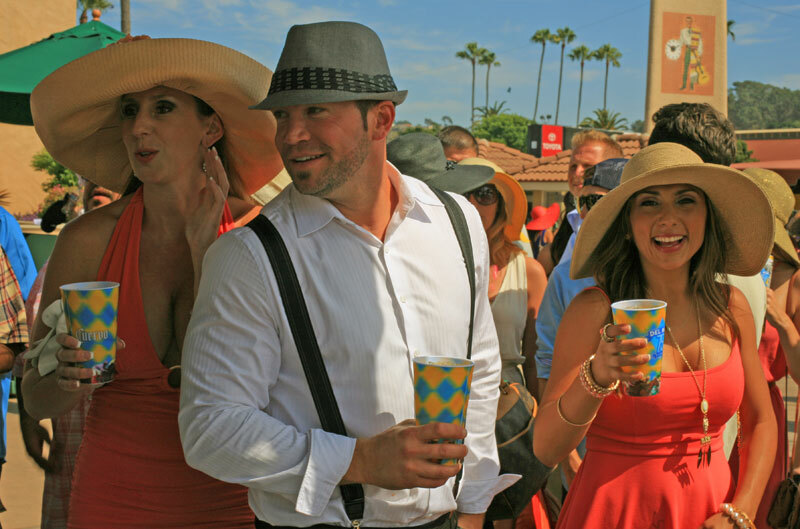 The $1 Million Pacific Classic is Del Mar’s richest race of the season, makeing way for the best horses, the best jockeys and a grandstand full of serious racing fans. Meanwhile on the Infield, 150 specialty microbrews will be on tap while local bands perform throughout the day. September 6: Wiener Dog National San Diego Finals. 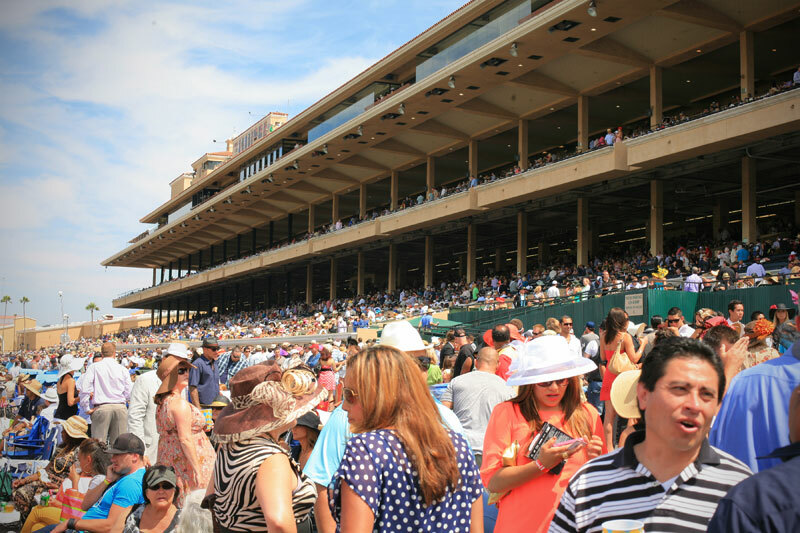 Labor Day brings some of the season’s most festive crowds and this year, fans can watch horse and dog races as local pups race to be the fastest Wiener dog in San Diego. Every Racing Day: Become a member of the Diamond Club. It’s free and simple to sign up onsite and membership grants half-off admission any day of the season. Wednesdays: Free and Easy Wednesdays. Diamond Club members receive free grandstand admission, a complimentary reserved seat, a free program and half-priced beer, soda and hot dogs in Stretch Run concessions. July 22 and September 2: Senior Day. All seniors 62 and over receive free Stretch Run admission, a free official program and a free reserved seat when they present their I.D. at designated Stretch Run Admission Gates. 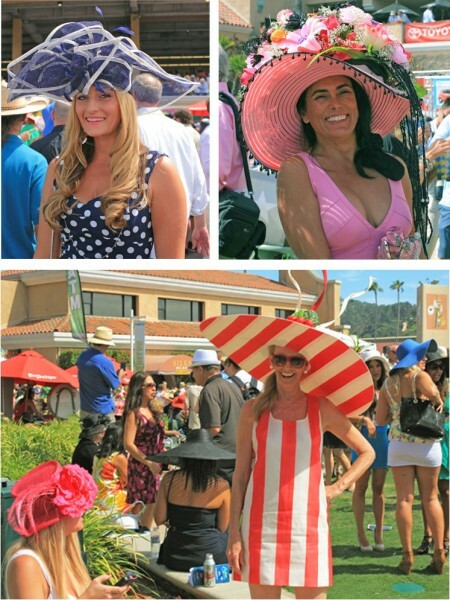 The Del Mar horse races happen Wednesday through Sunday, now until September 8. Post time for the first race on most days at 2 p.m.
One of my favorite annual events, the Mission Federal Art Walk in Little Italy, will fill the streets with arts and entertainment this Saturday and Sunday. Among the multiple works of art will be live music, delicious food and beverages, vendor booths and fun activities for kids and families. The FREE event takes place from 11 a.m. – 6 p.m. both days. This weekend the old-west comes to San Diego for Western Week(end) at the Del Mar National Horse Show, one of the most prestigious equestrian events in the U.S. The event starts at 8 a.m. on Saturday and Sunday in Horsepark at the Del Mar Fairgrounds and tickets are $10 per person. You can also stay late on Saturday night for the Night of the Horse event at 7 p.m. where riders will perform an 1814 rendition of The American Circus; tickets to this event are $18 for adults and $10 for children 12 years and younger. If the horse show wasn’t enough excitement, then grab your cowboy hats and giddy up for the 46th Annual Lakeside Rodeo. This annual event has grown from a small-town event to a nationally recognized rodeo and takes place at the Lakeside Rodeo Grounds in San Diego’s East County. There are two shows on Saturday: 2p.m. and 7 p.m.; and a 2 p.m. show on Sunday. Ticket prices range from $5 – $20 for adults and children. This Saturday from 10 a.m. – 5 p.m. is the 25th Annual Linda Vista Fair on the 6900 block of Linda Vista Road. The FREE event promotes cultural awareness and understanding with multiple exhibits, a film festival, ethnic food and amazing artistic performances. Highlights of the fair will include the World Arts Village with colorful live performances; the Kids Zone with pony rides, magicians, face painting and more; the Teen Spot with hourly entertainment, rappers, street dancing and DJ music; and an 11 a.m. parade. This Saturday and Sunday is the Annual San Diego Adams Avenue Roots Festival along Adams Avenue and in Adams Park in University Heights. This FREE event will feature live music performances on multiple stages, beer gardens, a diversity of food, street buskers and hundreds of vendors and craft booths. 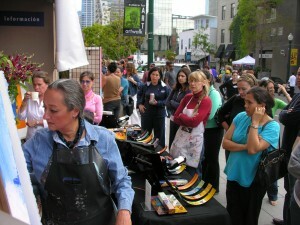 The festival takes place from 10 a.m. – 6 p.m. on Saturday and from 10 a.m. – 5 p.m. on Sunday.